Photo Contest in Facebook: Our Estonian meat. Your Estonian photo. 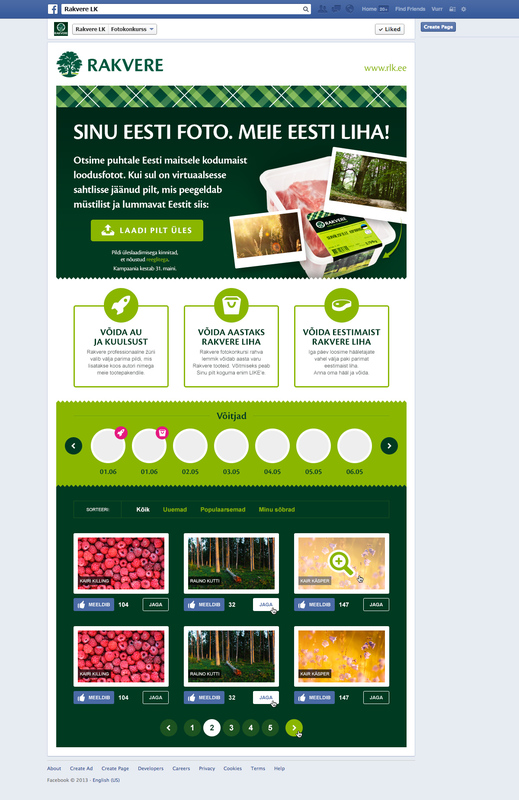 Rakvere LK wanted to instill its Estonian brand image in social media. We decided to carry out a photo contest: Our Estonian meat. Your Estonian photo. The campaign itself was vastly successful with over 700 photos and incredible quality. The application was adapted to all smart devices which helped a lot, with over 18% of visitors uploading or voting on their smart device.